Professor Athole Marshall is Head of the internationally-renowned Public Good Planting Breeding Team at the Institute of Biological, Environmental and Rural Sciences (IBERS), Aberystwyth University, UK. The team is noted for its work in breeding new varieties of forage grasses, legumes and oats. Professor Marshall is Past President of the European Grassland Federation. Dr Rosemary Collins is a Principal Investigator at IBERS focussed on developing new varieties of legumes such as clover for a more sustainable agriculture. The shift to more intensive livestock system has put more pressure on grasslands used for pasture. At the same time, there is a greater understanding of the role of grasslands in delivering a range of ecosystems services. This volume reviews the range of research on more sustainable use of grasslands to optimise livestock nutrition whilst protecting biodiversity and delivering a range of broader environmental benefits. Part 1 assesses grassland functions and dynamics, including plant-soil and plant-animal interactions. Part 2 reviews key aspects of grassland management, including sowing, soil health, irrigation and weed control as well as monitoring. The final part of the book considers wider aspects of sustainability such as protecting biodiversity as well as silage processing. With its distinguished editors and international team of subject experts, this will be a standard reference for grassland and rangeland scientists, livestock producers, government and non-governmental organisations responsible for grassland management. 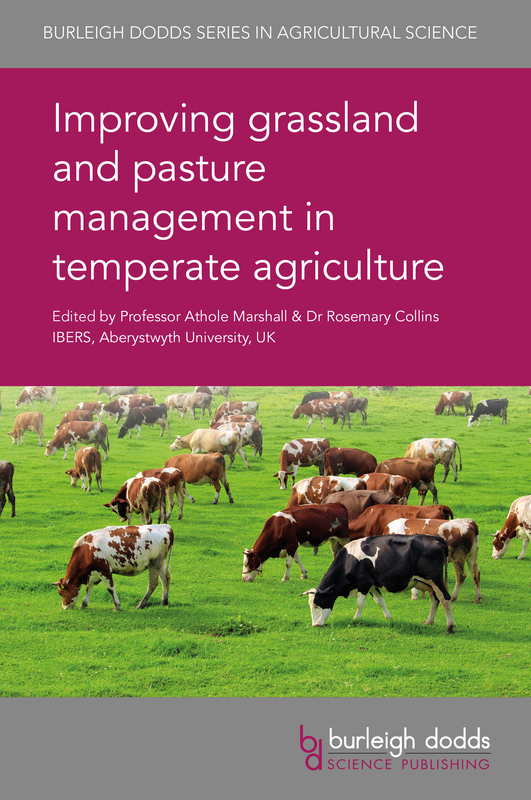 This book provides comprehensive coverage of the aspects of temperate grassland that are of crucial importance for the 21st Century. The Editors are renowned grassland scientists and there is a fantastic team of authors not only from Europe, but also from Australasia and North and South America. I commend this book to all serious researchers and extension specialists involved with temperate grassland. Roger Wilkins, Emeritus Researcher, Rothamsted Research, UK; Life President, European Grassland Federation.